People love to look for unique games to play now and then. Playing the same game genres can sometimes become boring. That is why those unique features in some game apps become quite appealing after playing all the popular games. The Cave iOS game app may be one such example. 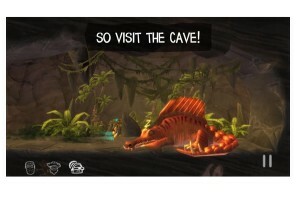 The Cave iOS game app features an adventure that many players will find unique. It is basically an adventure to explore a cave and what surprises are in store inside. Players can assemble together a team of adventurers to explore the cave. Players can choose a team of three adventurers from nine different characters. Each one comes with their own unique personalities and stories. Players prepare to explore what is inside the cave, and it may not always be what you might expect. The Cave game app comes with seven adventures that come with multiple paths. There are many puzzles solve and hidden surprises to discover inside the cave. With each achievement, players get to understand a little more of the truth behind the characters they are playing. It is an interesting and unique game that will give you an experience unlike other games that are so popular today. The Cave is designed for iOS devices and is available at the App Store for a $ 5 download.